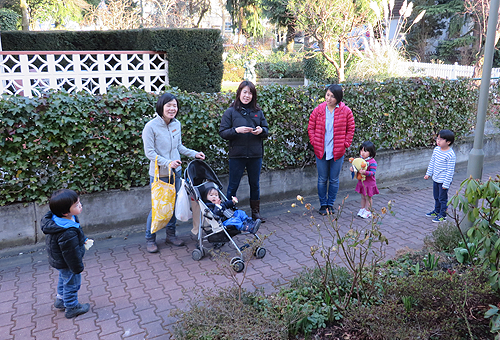 Since I started teaching Japanese students in 1982, the motto of my lesson has been learning with fun and success. This has been our approach until today - our lessons are very individual and intensive, meeting students’ levels and goals of improvement. Three teachers, each with international background and experienced in learning several languages as well as in teaching in different countries, will take care of your or your children’s progress – having fun and success. I will instruct you as far as possible in your target language German or English, but will always be ready to explain everything and support your comprehension by using your mother tongue. Many happy children and thankful adults who left their memories in our guest books are our best reward. 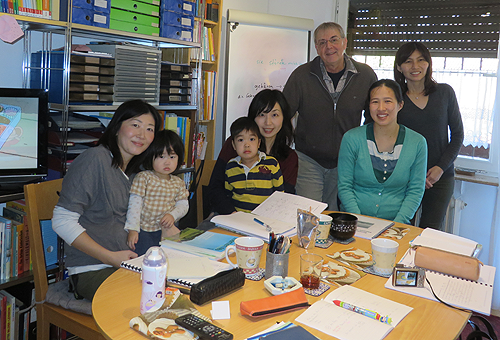 I also instruct the teachers of the International Japanese School of Frankfurt-Hausen. 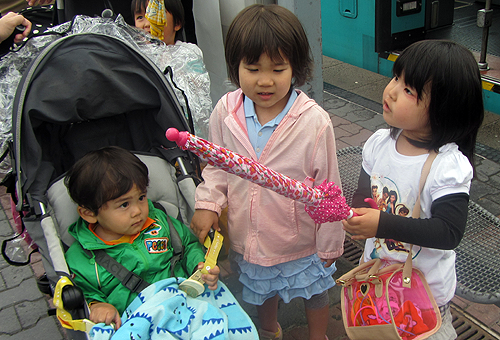 Please be free to bring your small children to your lesson even in the case of a group lesson! Babysitterservice is available! I meet your special request for a course and provide placement consultations and trial lessons for free. I arrange your favorite layout of a course: privately, in a group or in a combination of parents and children. This very personal set of courses allows all students to practice communication and helps to improve their language skills. Times for lessons are made according to your request - also Saturdays and Sundays are possible. I prepare for all tests in Germany as well as 独検 and 英検 in Japan. All your questions regarding your life in Germany can be discussed during the lessons. You can choose ‘free talk’ about topics of your choice, ‘reading books’ or ‘learning games or songs’ as a part of your lessons. I provide evening classes for employees choosing the target languages German or English. Reinhard 先生started working as a language teacher at the Frankfurt “Volkshochschule” in 1979. 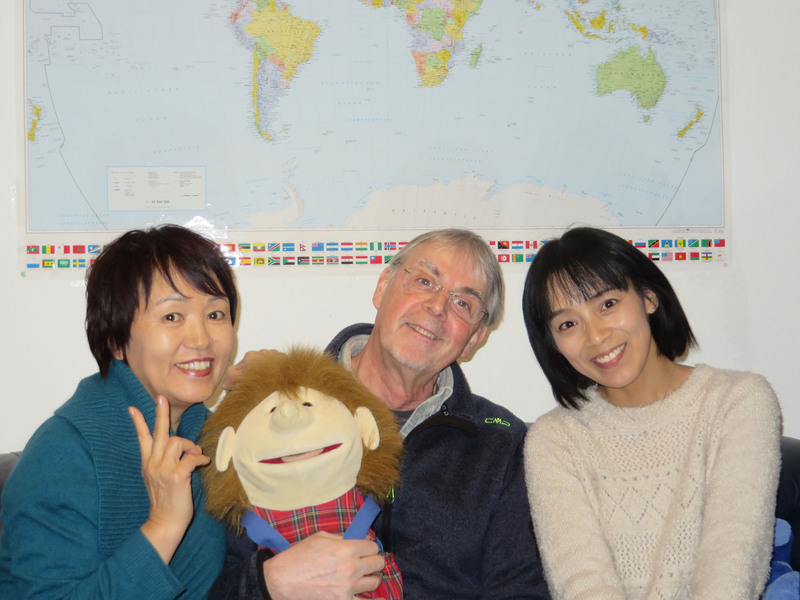 Since 1982 he has taught Japanese students in Frankfurt and the region. Since 1983 he has been an official examiner for German tests on all levels for the State of Hessia. He founded the Private School in 1998 and has been teaching Japanese children and adults, business people and the teachers of the International Japanese School of Frankfurt since then. In 2004 he finished and edited the bilingual Reader ドイツ語をもっとかりやすく which has been used by Japanese Learners thousands of times. He is experienced in learning fourteen languages which helps teaching foreign languages a lot.